Treating children and being able to educate them on good long-term oral health habits gives me a sense of pride and accomplishment. It is a very fulfilling and rewarding profession. I am a member of the Perry Township Study Club and attend monthly meeting among dentists of various specialties throughout the south side. Speakers discuss different aspects of dental practice at each meeting. This keeps me current on the latest information and strengthens networking relationships with colleagues in other dental specialties. The best part of my job is helping kids get out of pain. I also enjoy interacting with many different kids throughout my days and watching them grow and mature. They are fun and always make us laugh. They say whatever is on their mind. It is neat to be recognized and interact with patients outside the office in the community. Our staff exclusively works with kids. They are specialized in treating pediatric patients and helping comfort them and ease their fears. Our patients have a lot of fun here! Before or after visits, they can go on an exploration around the world and hunt for hidden items on murals throughout the office. 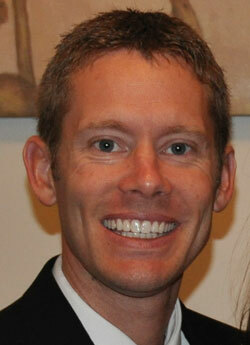 I am originally from Sheridan and have lived in Greenwood since starting my practice. My wife, Gina, and I have two daughters and one son. I also have a golden doodle named Lucy. In my spare time, I enjoy traveling, snow and water skiing, and scuba diving.